Close to Snakewood, it is naturally very veined in its heart. Alternating beige and dark brown tones, its decor will surprise you with its geometric reliefs out of the ordinary. 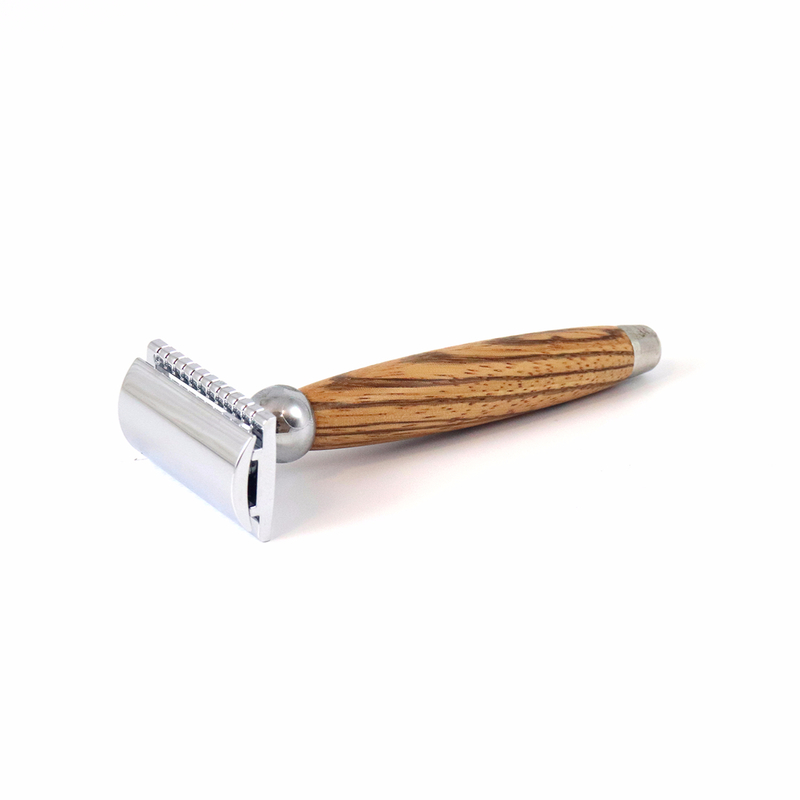 The Safety Razor is the legacy of traditional shaving. Its closed comb prevents any risk of injury and allows a deep shave of the hair. More precise than the multi-blades, it will adapt perfectly to the shave of contour as to the complete shave. Associated with a good quality of blade and a preparation of the skin with the shaving brush, it will leave behind its passage a perfectly smooth and soft skin.